I have been living in Germany for 6 years now but – believe it or not – this is going to be the first time I spend the Christmas Eve here. Every year a few days before Christmas I would be packing my bags, pre-wrapping the presents, and catching a plane to Latvia to spend the holidays with my family. I continued doing this while still dating my husband but, once we got married, we decided that things should change. So last year we both flew to Latvia and had a wonderful Christmas Eve with my family. My hubby really enjoyed it and even learned how to make some Latvian Christmas treats! This year, the be fair to everyone, we’re staying in Germany for the Christmas Eve and flying over to Latvia on the 2nd day of Christmas. This Christmas will be special not only because it’s my first one outside Latvia. It will also be the first time when I’m the main cook of the Christmas dinner! You see, we decided to invite my in-laws to celebrate at our place. Although it’s a lot more work, I’m looking forward to the festivities because I have all the possibilities to include some Latvian Christmas foods and traditions that I otherwise might be missing. So how different are the Christmas Eve celebrations in Germany and Latvia exactly? Luckily the answer is: not that different. 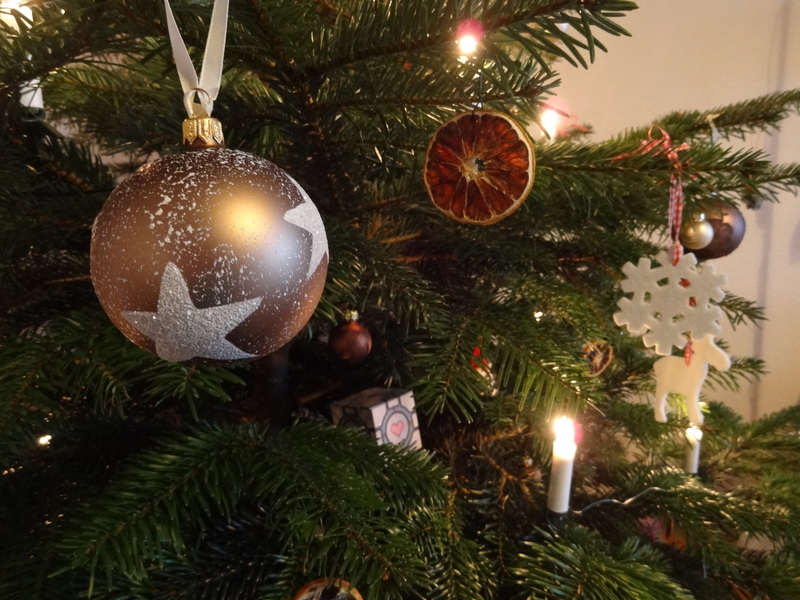 Both countries claim that they were the first ones to have decorated a Christmas tree (I guess it kind of works either way since the territories of Latvia belonged to Germany back then). Both hold the main festivities on the 24th December with the family sitting down for a common dinner and exchanging gifts. But, as it so often is the case, the devil is the details. The main differences I’ve been concerning myself with are related to food, that is, what should be served for the Christmas dinner. The central Christmas dish in Germany is typically roasted goose served with red cabbage and potato dumplings (although this can vary from region to region and from family to family), whereas the Christmas dinner at my parents would consist of a pork roast, sauteed sauerkraut, and boiled potatoes. So, although the main dish is different, for both Germans and Latvians cabbage and potatoes are important ingredients of the Christmas meal. There are more differences when it comes to all the other special snacks and side dishes that are put on the Christmas table. While the Germans have a wide variety of different cookies (called Plätzchen), Latvians are more into specialties made from yeast dough – cinnamon and poppy seeds, and especially “pīrāgi” (do not mix with the Polish pirogi!) – oven baked crescents filled with smoked meat and onions.